This scenario shows how you can create connections from a server on the same network as the GateManager. On the GateManager it is possible to create Virtual IP ranges. 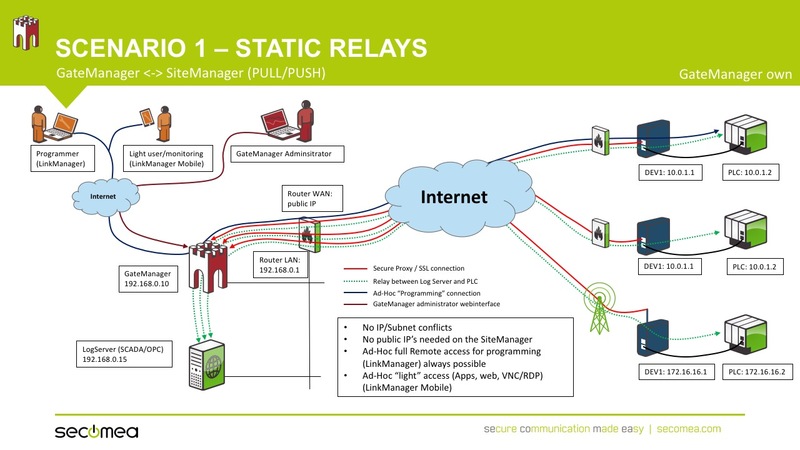 These IP ranges can correspond to Device relays on the client SiteManagers.